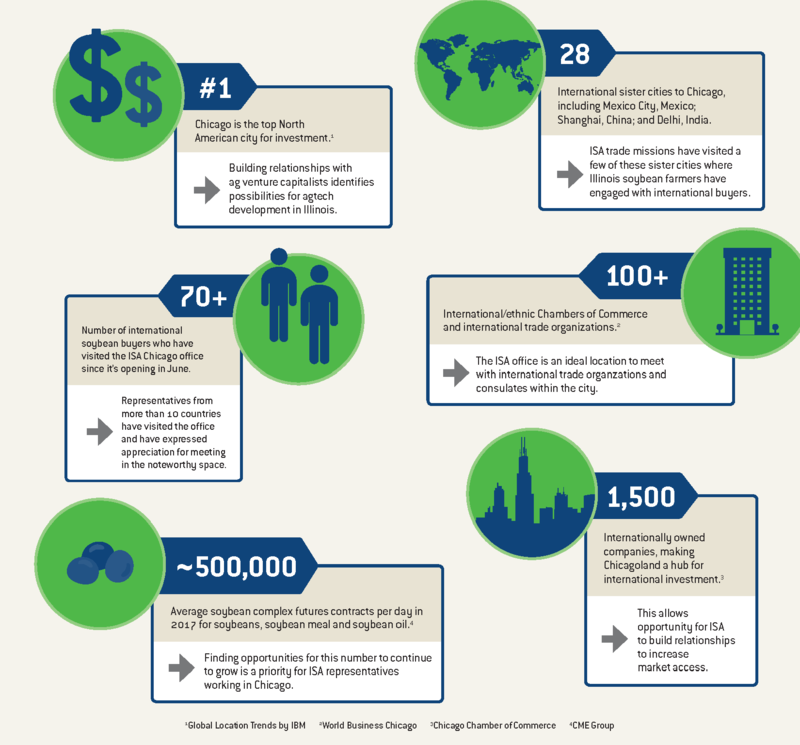 Chicago, Illinois, is a global center of influence for agricultural business. The Illinois Soybean Association checkoff program participates even more actively with an office in downtown Chicago. And stakeholders in the soybean industry worldwide have many reasons to visit. Check out how Chicago holds international influence on agribusinss.